Australian Author, Director, & Producer Chrys Phillips' wildly successful web series, Counter Play, has been picked up by Channel 9 and Amazon Prime. 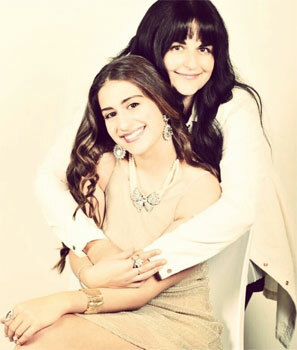 The show, which stars Chrys's daughter and co-producer, Mikaela, is set to debut on Australian TV screens in mid-2018. The web series quickly grew a loyal fan base, despite critics initially warning Chrys that the show was too glossy with no outback heritage content and not -Aussie' enough for the Australian audience. "I kept on producing the show because as I knew the intrigue and devious activities in South Point were what people wanted to watch." The award-winning Author of the Blood Tattoo series and 'Never Say Can't', continued production, casting her daughter as the lead character, Faith Morgan. Just weeks after airing online, Counter Play had grown to more than 1.5 million views on -word of mouth' alone. Counter Play is a drama/thriller that follows three affluent and powerful families in the luxurious, upper-class setting of 'South Point'. Each family member holds a dark secret, intent on protecting their own interests amidst an environment filled with blackmail, greed, love triangles, and murder. Chrys is breaking barriers in what is typically a tough, male-dominated industry, becoming the first woman to create and produce an independently funded TV series in Australia. "I can honestly say it's been a tough path. I was told on many occasions that I didn't know what I was doing, that it wasn't the norm and isn't how shows in Australia were written and filmed. I was even told to consider getting a male to direct it, as I wouldn't be taken seriously." Despite the obstacles in her way, Chrys refused to take no for an answer and began producing Counter Play as a web series after being advised that finding success online would help her get funding. 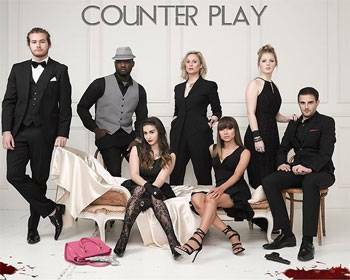 After its meteoric rise to popularity online, Counter Play was quickly picked up by Channel 9 and Amazon Prime. Question: How would you describe Counter Play? Question: Where did the idea for Counter Play come from? Question: What's in store for season 2 of Counter Play? Chrys Phillips: Season one launches the characters in South Point and their sinister secrets and events however season two brings us show stopping revelations where love and murder seem to entwine and once again we watch the decadent VIP galas these locals attend. Question: Can you tell us about the challenges you've had to overcome whilst filming Counter Play Season 2? Chrys Phillips: Both seasons (laughs) had their hurdles. First and foremost, it was casting a loyal and talented cast and crew who saw my vision of the show. Many actors here don't have the opportunity to understand and learn the fundamentals of creating a tv series in this fashion as they produce overseas. Therefore, this was a task in its own right, however we now have a fabulous loyal, dedicated team, passionate about the series and it shows in their talents in front and behind the camera. I was also told I would require a male, to assist in directing and or produce the show which I found terribly disappointing and the lack of financial funding for our show has been less than desirable. If you don't fit into a certain age group, gender, nationality or the usual norm of what we film here I'm Australia then it seems as I've been numerously informed told that my show was in a grey area. No, assistance or funding here in Australia is based on who is succeeding. We had achieved 1.5 million views as a web, we have been acquired by USA Amazon Prime TV and Channel 9 but still no one would assist us and I then I decided not to stop creating the show even if no one would assist us and with my daughter we became the show's producers with funding it from my own grocery bills and cash flow. I spoke to many locations and businesses and some great Aussie businesses assisted us, via lending us high end luxury cars Ferrari, Lotus and much more to film. Question: Where can we watch Counter Play? Chrys Phillips: This year around May-July on channel nine and Amazon Prime TV. Question: What's next for Counter Play as it's been picked up by Channel 9 and Amazon Prime? Chrys Phillips: It's now in pitch with other overseas stations. Question: How does it feel to be the first women to product an independent TV series in Australia? Question: What challenges have you had to overcome being a woman in a male-dominated industry? Chrys Phillips: Gosh, there's too many to say and probably cannot mention too many as some, here quite verbally abusive, however when I was liaising to get funding for, season two, I was told to use there no money for you and… quote: "to use womanly hustle". This offended me and all women reaching success as he could've said my entrepreneurial hustle or producer hustle it was extremely degrading. I've seen males (even mates of mine) asking for funding only off a script or idea not like me with full season and fans and get substantial support. It's not an easy industry for woman, as sadly there's still that mindset that males can direct far more effectively with superiority and get more recognition and support. Question: What advice do you have for other Australian film producers? Chrys Phillips: The only advise is, do not allow anyone to define you go out there and just do it!